Gerald Loeb- "The difference between the investor who year in and year out procures for himself a final net profit, and the one who is usually in the red, is not entirely a question of superior selection of stocks or superior timing. Rather, it is also a case of knowing how to capitalize successes and curtail failures." If there is anything I detest, it’s a mechanistic formula for anything. People should use their heads and go by logic and reason, not by hard and fast rules. Theorists may claim that “stocks are too high” or “too low” based on their individual and varying ideas of what people should pay for a given situation at a given time. But the real price of stocks is based on the majority appraisal of the moment. I feel all relevant factors, important and otherwise, are registered in the market’s behavior, and, in addition, the action of the market itself can be expected under most circumstances to stimulate buying or selling in a manner consistent enough to allow reasonably accurate forecasting of news in advance of its actual occurrence. As a practical matter, it will pay to look at the lists of “new highs” and “new lows”. . .Check on stocks that make new highs and on quiet stocks that begin to develop plus signs and higher volume. 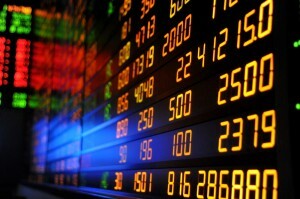 This can help you find new and profitable shares to buy. For the competent trader and investor, consideration should be given to the rate of return received on capital, regardless of the market outlook. For example, if $100,000 grows to $150,000 in six months and the market looks higher, but is obviously vulnerable to the unexpected, I think taking profits for the big returns they bring. . . is the proper procedure.